Click the button below to add the NI Multisim Student Edition Circuit Design and Simulation Software 14.0 to your wish list. NI Multisim is an analog, digital, and power circuits teaching environment, enabling student exploration of electronic behavior through pedagogical features built upon industry-standard SPICE simulation. With intuitive and interactive learning features, student understand foundational electronics topics and can then transition to circuit design and layout with the NI Ultiboard printed circuit board development environment. NI Circuit Design Suite 14.0 For Windows XP or newer. The NI Circuit Design Suite combines NI Multisim and NI Ultiboard into a single integrated bundle for all student learning and design needs. 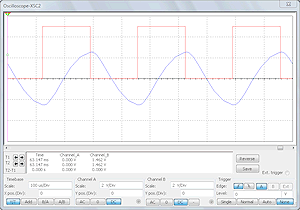 This analog, digital and power circuit learning platform includes a powerful suite of virtual instruments and analyses to view simulated measurements on the PC desktop. 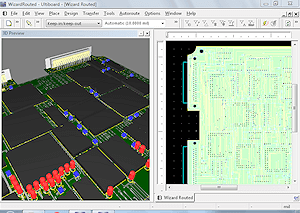 The NI Ultiboard software allows students to design a printed circuit board, view it in 3D and prepare for fabrication. 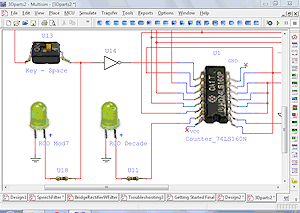 Easy-to-learn part placement and modeless wiring make it simple for students to be able to draw a circuit diagram instantly ready for simulation. Students can learn theory better with interactive potentiometers, rated devices, realistic resistors and 3D integrated circuits. 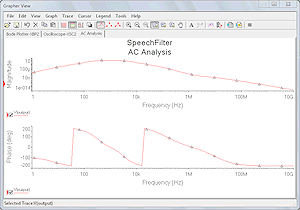 Multisim is built upon powerful SPICE technology and offers a comprehensive suite of analyses including transient, AC, Fourier, temperature etc. Multisim digital logic diagrams can be exported into a raw VHDL format to program Digilent platforms such as Basys and Nexys. I have tried to create an very simple hierarchical PLD design circuit and the software doesn’t allow me to do so because there is NO hierarchical ICON displayed on the tool bar!!! Multisim Sudent Edition is great for learning electronics. I am taking a home study course that had you go online to different free simulations to do your projects. I happened to find this for $40 and it is on my own computer. It is well worth the money. I have a lot to learn on this. Great Software. 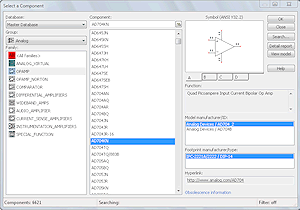 One of the best circuit design simulation tools! 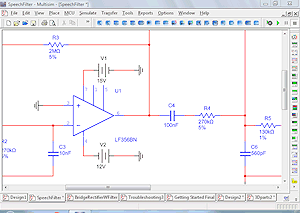 Multisim is one of the best and easiest to use simulation tools around when designing circuits. Also at this price, it can't be beat. Been waiting for this for a long time! Also now is able to interface with LabView! Definitely using it in my hobby for circuit design! Highly recommended! 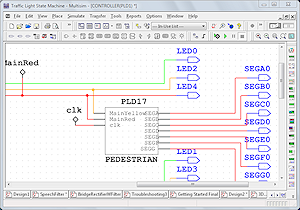 Multisim is one of the best user-friendly CAD tools for circuit design; especially with this affordable price.